Mill Road Fisheries offers the choice of two lakes, each well stocked with many different species including carp, tench, roach, rudd, chub. Enjoy fun of the seaside, with Skegness and fantasy Island just up the road from Mill Road Fisheries you’re sure to find something offsite. Contact us either by telephone on 01754 767 586, or if you prefer click the button below to use our online form to contact Mill Road Fishing Lakes. Mill Road Fishing Lakes is a fishing lake and caravan park based in Skegness. We cover all aspects of fishing holidays including day ticket fishing, match fishing and pleasure angling with touring caravan park. We specialise in providing a great fishing break with guaranteed catches up to 25 lbs. All you need for your fishing holiday. 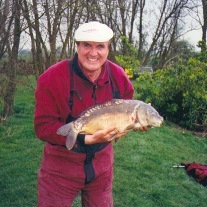 Catering for day ticket fishing, match fishing and pleasure angling with tent pitches and a caravan park. We serve a wide range of clients with a prompt reliable and professional service at very competitive rates. All our staff are highly trained and offer a professional, courteous and friendly service. We have been established for over 25 years and we have developed an excellent reputation across the Skegness area, based on our commitment to quality, value and customer satisfaction. If you require Day ticket fishing, match fishing and pleasure angling with tent pitches and a caravan park, then you can rely on us for efficient work and friendly, knowledgeable staff. Error validating access token: Session has expired on Sunday, 07-Oct-18 14:22:38 PDT. The current time is Tuesday, 23-Apr-19 14:02:55 PDT.